It often happens that we need to connect a new smartphone or tablet to a wireless network, but we do not remember the password. Do not hurry to get upset and open the router parameters. You can show your Wi-Fi password on Android device if it has previously been connected to this access point. Each operating system, including Android, stores information about connecting to a network in the file. You just need to find and open it. How to do it? To download a file explorer and find the required information manually. Remember that both methods require a full administrator access (root rights). The first option involves the installation of a file explorer, using which you can open the system folder and see the desired information. The utility called “Root Explorer” is the most widespread. 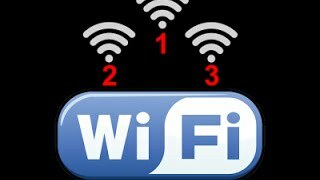 So, let's analyze both ways how to get the Wi-Fi password in details. First, open the Play Market, find and install the program “Root Explorer”. During the first launch the program asks to provide root rights. Provide them. That’s the only way you can get access to system folders. Now just have to find the Wi-Fi network password’s storage location. It is saved in a file called «wpa_supplicant.conf». To get started, go to a «Data» folder. The data about the settings, connections, and system configuration is located here. Next, find the folder «Misc». There you will see the «Wi-Fi» folder. It stores our necessary file. It should be opened by a text editor such as Notepad. Here you will see a list of all connections, which your smartphone was connected to. SSID is the network name, and the line «PSK» will display the required security key. 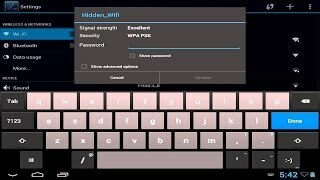 “Android Wi-Fi password finder” is a program that allows you to retrieve information about the network, which the smartphone was connected to. There are many similar applications. Moreover, they all work on the same principle. The idea is to find the mentioned file and show it on the screen. It is done automatically, so the user does not need to search for the required directory and open the file in a text editor. In simple words, the application allows you to automatically retrieve the Wi-Fi password and show it on the screen. Perhaps the most simple and easy to use is the “Wi-Fi IP and password Explorer” application. It works on the same principle, but it has the most simple and intuitive interface. 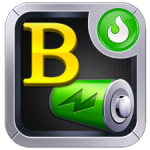 It can be downloaded from the Play Market absolutely for free. 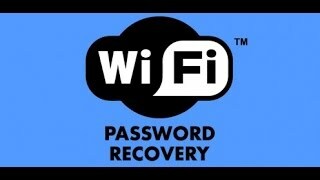 As mentioned above, the program requires root rights to show the stored Wi-Fi password. You will have to simply run the utility and put a tick in the line «Show password». The procedure is now completed. The system will show the password, you just have to remember it or write it somewhere. As you can see, everything is very simple. Note that if you open the Root rights on the device that is still under warranty, the warranty will burn. This means that in case of breakage you will pay for the repairs yourself. 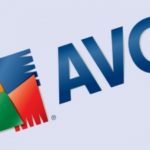 Moreover, opening full access involves certain risks and if you are a new user, you should not open the system directories and delete or modify something in them. 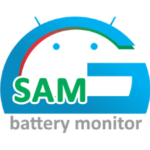 This can lead to failure of the operating system, as well as damage the device.